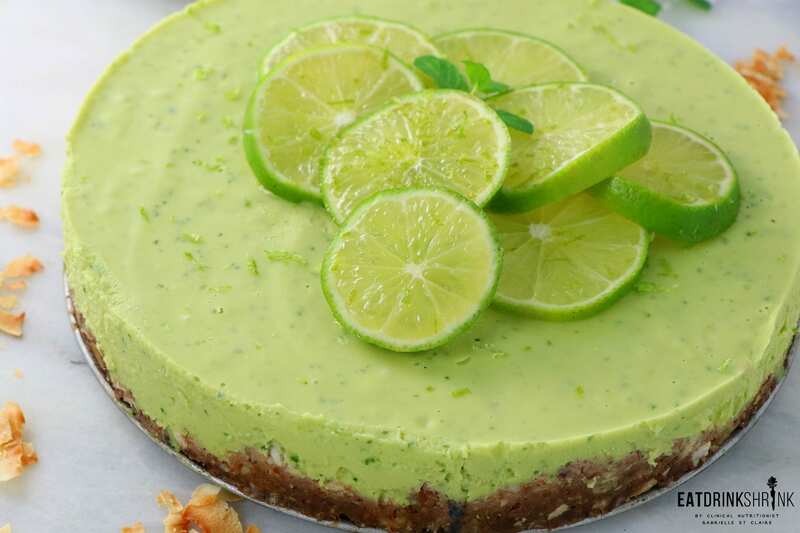 Raw Avocado Key Lime Pie Cheesecake - Eat. Drink. Shrink. I’m happy to say, that I’m an avocado kick. 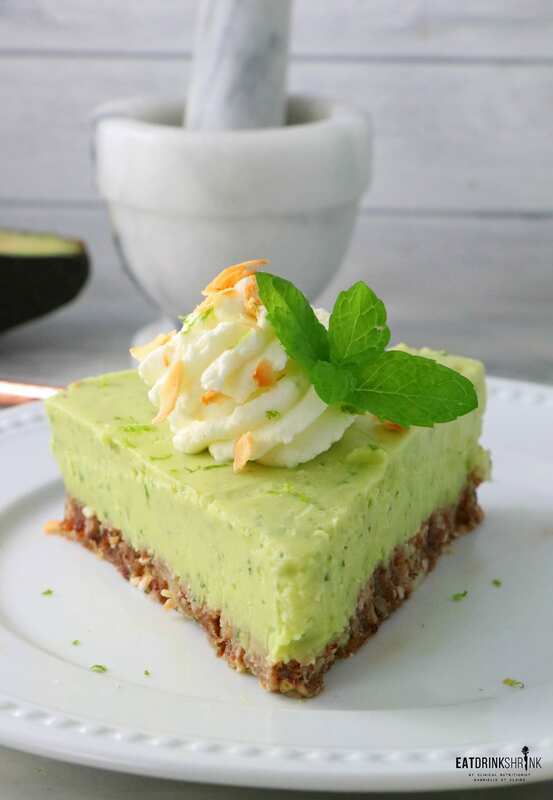 I probably have avocados just about every day, but in addition to them being a good breakfast and snack, they are amazing to throw into various dishes, especially desserts! It’s a handful of staples thrown into a food processor and is such a no fuss recipe! 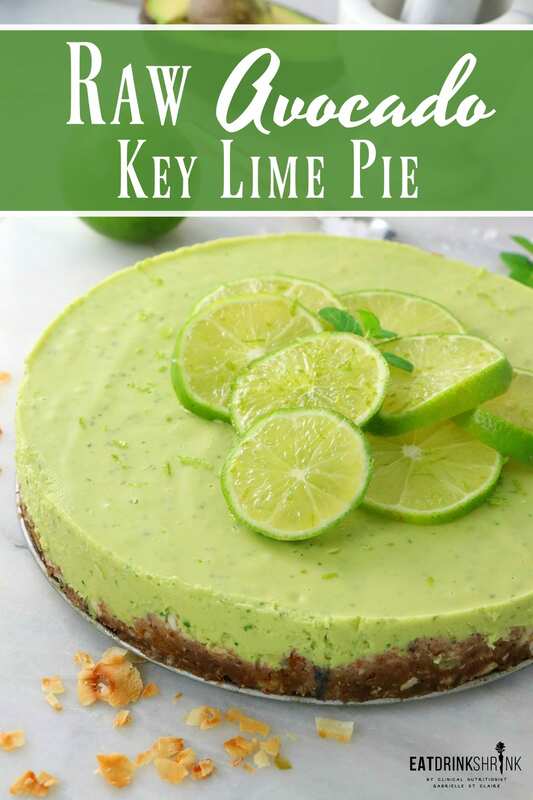 What I love about this key lime pie, is everything! 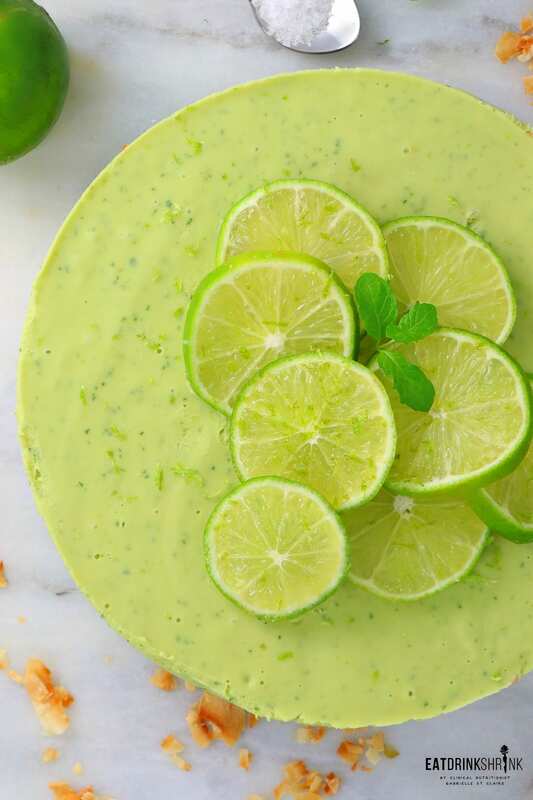 It packs avocado, coconut milk and even spinach! 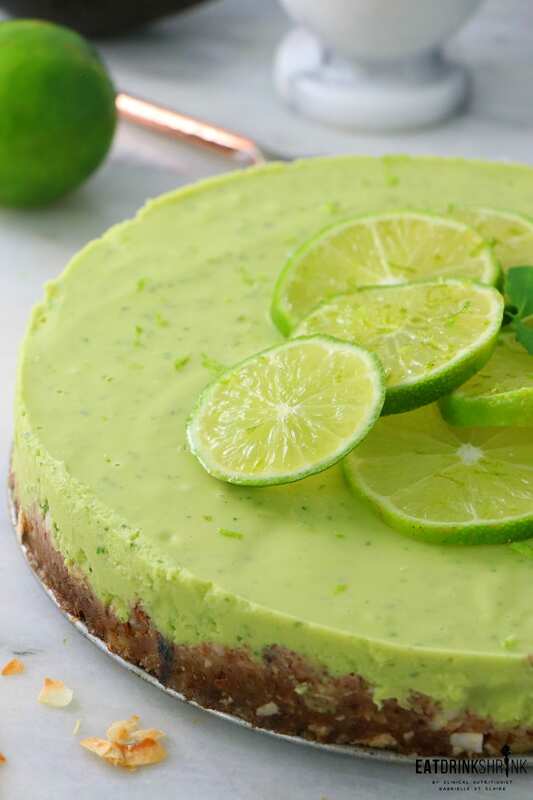 It has that perf lime flavor, the crust is raw, requires not backing, crust holds together, comprised of macadamia nuts, has aesthetic appeal, nutrient packed, perf for any season, and non vegan approved! 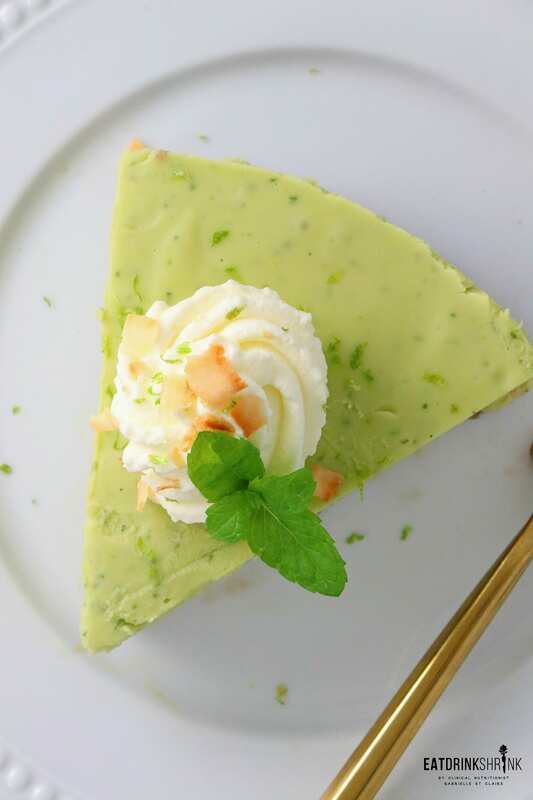 If you’re searching for that effortless staple vegan dessert that will forever wow your guests, this is it! 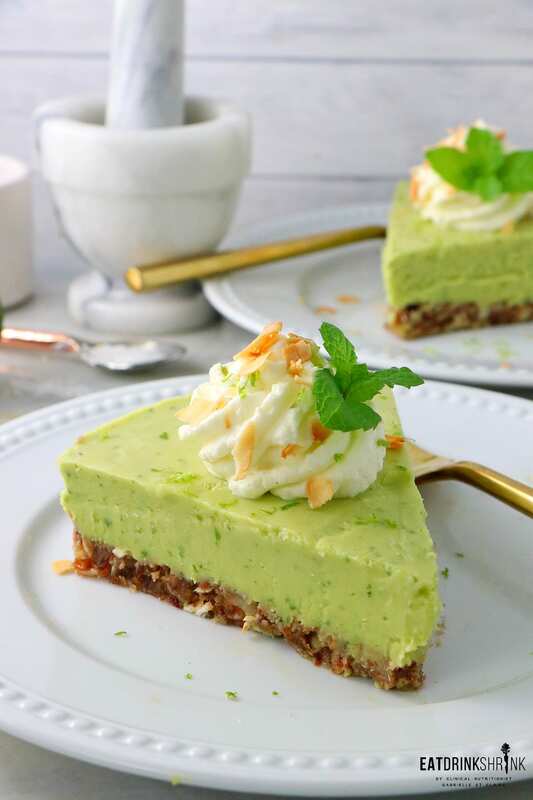 You have to try my vegan Raw Avocado Key Lime Pie! 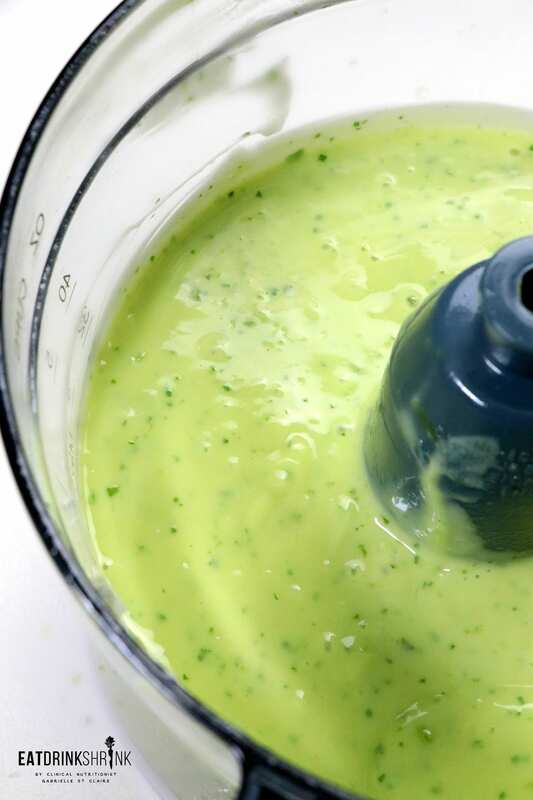 Add all of the filling ingredients into the food processor, blend until smooth. May take a few minutes to grind up the spinach. Pour over chilled crust. Set in fridge to firm up for 1hr to 2hrs. It firms quick! 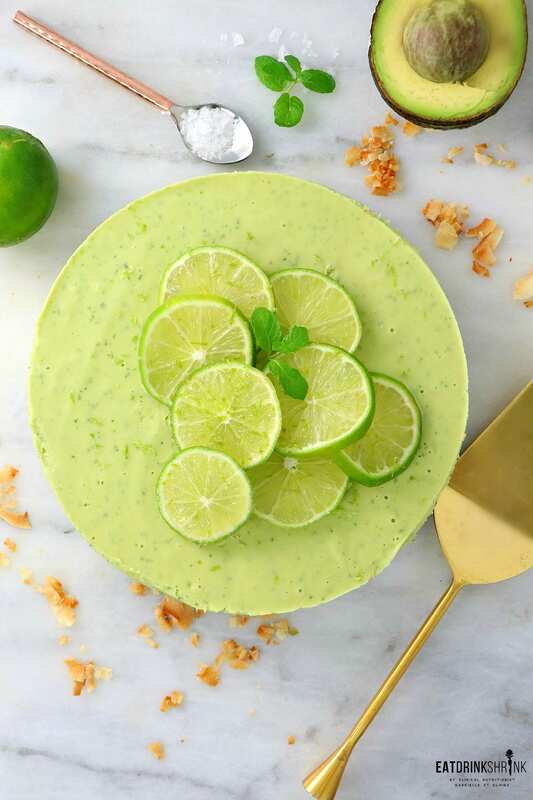 Top with lime zest, lime, toasted coconut, and coconut whip! Hi Maria, There is 1 1/2 cups in a can, so half of that would make it 3/4 cup. Let me know how it turns out! Hi Jade, you can absolutely omit the spinach, the green color will just have less vibrancy. However, the taste will be exactly the same. I wouldn't use kale.